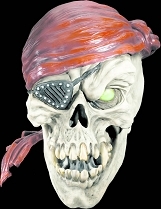 What represents death better than the skull? 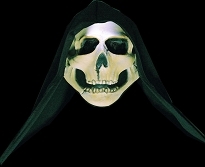 It's been used as a symbol of death and danger throughout time, all over the world. 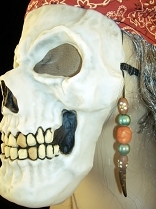 Ancient tribes collected the skulls of their enemies to scare others away from their borders. 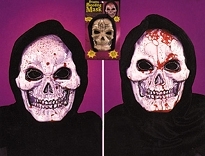 Modern labels use skulls to represent poisons and hazards. 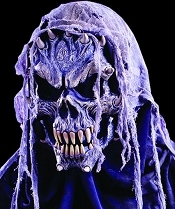 The Grim Reaper himself usually appears as a grinning skeleton peering malevolently from beneath the hood of his robes. 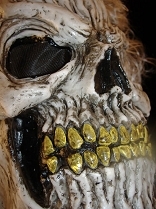 Skulls are frightening, no doubt about it! 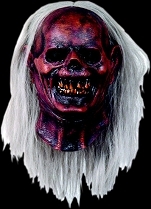 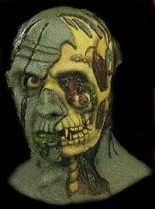 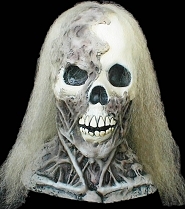 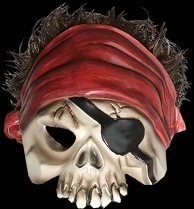 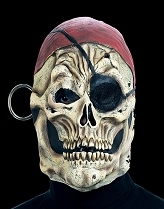 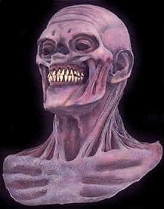 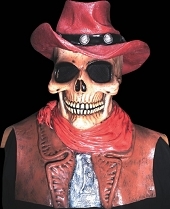 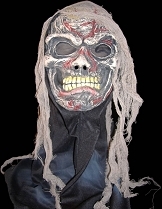 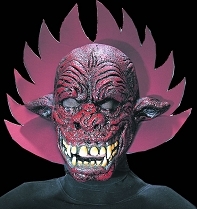 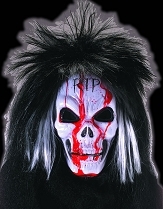 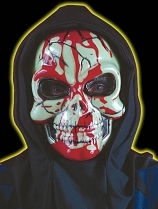 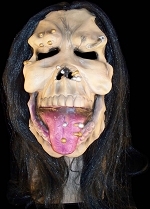 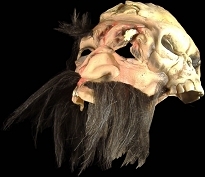 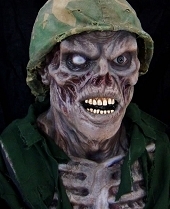 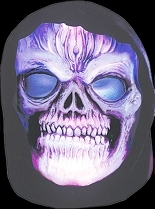 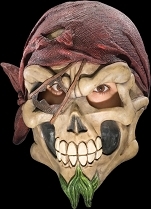 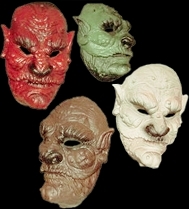 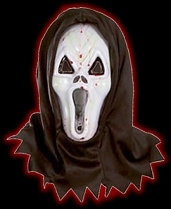 At Halloween-Mask.com, we have tons of awesome skull masks ready to scare the hell out of everyone you encounter. 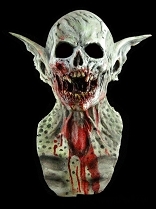 We have human skull masks, Satanic goat skull masks, monster skull masks, and more. 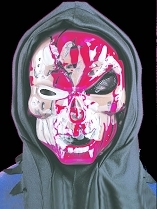 We have bleeding skulls, biting skulls, clown skulls, and every type of skeletal monstrosity you can imagine. 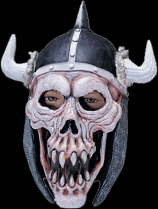 If you're looking for the scariest skull masks in the world, you're in the right place for sure, so look around and feel free to contact us if you have questions.